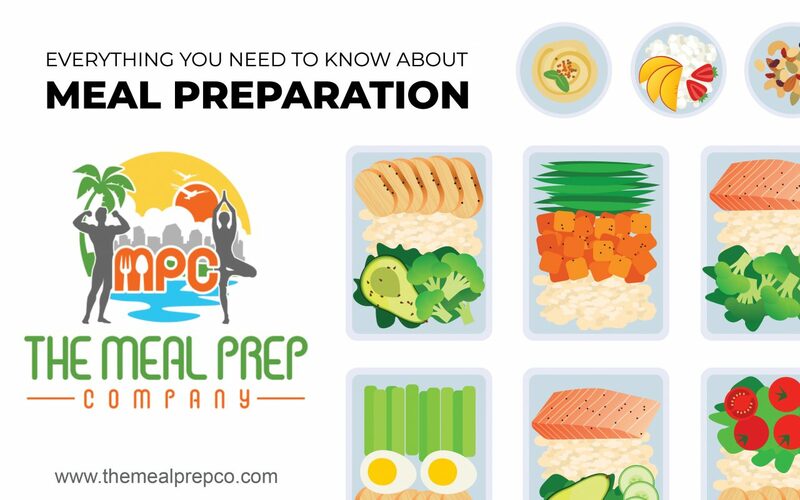 the fit lab Archives | The Meal Prep Co. Preparation makes perfection. Regardless of what your goals are, success will only be achieved when you are prepared. Not only does meal prepping help you achieve your fitness goals, it saves you significant amounts of money and time! Pick your day for shopping as well as for cooking. Prior to your shopping day, make a list of everything you already have on hand you would like to use (proteins, veggies, etc.). Taking inventory of your pantry allows you to stretch your dollars and avoid excess food waste. Bringing a cooler or insulated bag with you allows you to stop at more than one grocery store or market per trip, so you can buy the freshest meats and produce at the best prices. To assess what ratio of protein, carbohydrates, and fats your body will need on a daily basis, visit http://www.iifym.com/iifym-calculator/ and enter your information as well as an accurate assessment of your physical activity. This will also help you determine the quantities of protein you will need to purchase. A macro calculator of this sort will help you determine how many grams of Protein, Carbohydrates, and Fats you will need based on your goal. Take your totals and break them up into a minimum of four meals per day. Ideally, most meals should be broken down between 4 to 6 meals per day. This ensures that your body will metabolize and absorb nutrients properly while keeping insulin stable. For certain workout days (cardio and heavy lifting, or lifting targeting larger muscle groups) carbohydrates must be increased to aid in muscle recovery. For just cardio days, carbohydrate levels should remain at the suggested amount for general lifestyle activity. If you want a closer ballpark, try entering different levels of activity in the above calculator to get daily macros for rest, low activity, and high activity days. For a precise, custom assessment of your body fat percentage, resting metabolic rate, and v02 output, visit www.thefitlabsd.com today to schedule an appointment. Choose containers that are appropriate for your lifestyle. Some people like containers with multiple compartments to separate foods with sauces or dressings. Containers that are too large should be avoided for individual meals, as having a surplus of space on your plate will trick your brain into thinking the amount of food present will not be enough. It is also important to look for containers that are BPA-free as well as microwave and dishwasher safe. If you travel frequently or eat more than one meal at work, investing in a well-insulated lunch box and several ice packs will ensure your hard work does not go to waste! Keep breakfast simple. Limit your items to 3 to 4 ingredients to make breakfast a habit. Egg whites are always a perfect source of a clean protein. If you will be working out within the next 1-2 hour of your breakfast, add a complex carbohydrate to the meal (oatmeal). If you will not be working out, pair your eggs with 2-3 servings of vegetables. Stock up on snack size Ziploc bags or get small Tupperware containers to pre-portion snacks for grab and go convenience. Purchasing large containers of items like yogurt is cost-effective and eliminates overeating when it can be pre-portioned with toppings like seasonal or frozen berries, nuts, and granola. Preparing smoothie ingredients ahead of time makes it effortless to combine fresh or frozen fruit and veggies in individual servings, which can be put in a blender with a scoop of protein, and almond/coconut milk or water. Plan a specific number of meals to stretch across a certain number of days. This is useful if you are carb cycling so you don’t end up overeating carbs on a rest day. Plan to use the same side, whether it be your carbs (rice, beans, potatoes, etc.) or your veggies (crispy broccoli, roasted Brussel sprouts, sauteed green beans, etc). For multiple proteins significantly reduces the opportunity for waste. Timing is everything: it will take you twice as long as you plan to execute. Start by defrosting your proteins in the refrigerator. Fire up the rice cooker, and then begin cooking your proteins and veggies, since they will require more attention. The freezer is your friend! Placing meat in a ziplock bag with marinade and freeze until ready to cook. Protein staples such as meatloaf, meatballs, and burger patties can be cooked ahead of time and frozen until ready to use. Making your own chicken stock or bone broths and freezing in ice cube trays will also make any last minute dishes you’d like to whip up a breeze. These are great for the end of the week “kitchen sink” stews or soups- toss any leftovers in a pot and let the flavors meld together- shredded chicken, quinoa, onions, tomatoes, zucchini or seasonal squash, asparagus, and mushrooms make a beautiful cold-weather stew and can be topped with cilantro and avocado. Staying on track is easier when you are accountable to someone other than yourself. Add meal preppers to your social feeds to get ideas. Create a private facebook page and invite friends that would also like to share recipes and success stories. Find workout buddies or hiking partners through meetup groups, or organize them yourself! All of the ingredients in this recipe can be cut up and bagged or placed in a container ahead of time, except the protein powder and almond/coconut milk or water!